Perrhenate sodalite (Na8Al6Si6Re2O32) which contains the perrhenate anion (ReO4−) has been synthesised in equilibrium with Na–Fe-rich aluminosilicate melt and Re metal at 1100 °C and 500 MPa. Quenched glasses contain a homogeneous distribution of nepheline and magnetite, whereas sodalite only forms a crust on noble metal surfaces (Pt, Pt–Rh, Ag–Pd, and Re) in contact with the glass. The sodalite have been characterised by wavelength-dispersive X-ray spectroscopy and Raman spectroscopy. The experimental products contain both Re(0) and Re(VII), but other oxidation states of Re were not detected, suggesting the role of Na as a higher oxidation state stabiliser. Sodalite has potential uses for immobilising volatile Re and Tc during nuclear waste vitrification. Our study demonstrates the thermodynamic stability of perrhenate sodalite at Na-rich aluminosilicate melts at high temperature and pressure conditions. Sodalite is a naturally occurring feldspathoid mineral with the formula Na8Al6Si6O24Cl2, in which Si, Al and Na form a cage structure containing chloride anions [1, 2]. Sodalite anion chemistry is flexible due to the relatively large cage structure, and compounds incorporating halides (e.g., bromide and iodide) and oxyanions (e.g., tungstate, molybdate, permanganate, chlorate, perchlorate, nitrate, etc.) have been synthesised [3, 4, 5, 6, 7, 8, 9, 10, 11]. In particular, incorporation of perrhenate (ReO4−) to the sodalite cage structure has been the focus of several studies due to its similarity to pertechnetate (TcO4−) and applications in nuclear waste management [12, 13, 14, 15, 16, 17]. Synthesis of perrhenate sodalite (referred to as Re-sodalite hereafter) has been achieved via a low temperature hydrothermal process (175 °C) involving preliminary solution chemistry methods [12, 13, 14, 15, 16, 17]. Additionally, Re-sodalite has been shown to be stable in high temperature melts and retain its Re content . This raises the possibility that Re-sodalite can crystallise directly from silicate melts, without an intermediate stage of low temperature solution and hydrothermal synthesis. As stabilisation of nuclear waste is done in glass matrices, improving incorporation of volatile Tc through optimisation of the glass composition and formation process is an important goal, for which Re has been proposed as an analogue [18, 19, 20, 21]. Determining the conditions that favour the nucleation and growth of Re-sodalite crystals in silicate melts helps in this regard. In this study we report high temperature and pressure experiments during which we observed crystallisation of Re-bearing sodalite directly from Na-rich silicate melts. The experiments were conducted at high pressure in order to avoid the problems of Re volatilisation from the silicate glass. Experimental details have been described in detail elsewhere . In short, a silicate starting material was prepared by mixing sodium metasilicate (Na2SiO3), silica (SiO2), hematite (Fe2O3) and alumina (Al2O3) in an agate mortar and pestle. The mixture was sintered and partly vitrified at 800 °C to produce a homogenous semi-glassy material containing 47.16 wt% SiO2, 17.62 wt% Na2O, 17.94 wt% Al2O3 and 17.28 wt% Fe2O3, corresponding to a 50:50 stoichiometric mixture of nepheline (NaAlSiO4) and aegirine (NaFeSi2O6). The silicate mix was loaded into a 2.3 ∅ mm noble metal capsule (either Ag–Pd alloy or Pt) together with a piece of Pt94–70–Rh6–30 alloy and a Re strip. The capsules were then loaded into a ½-inch (12.7 mm) pressure vessel via a MgO–graphite–Pyrex–NaCl–Teflon assembly. The pressure vessel was inserted into a 200-ton piston cylinder apparatus, in which pressure and temperature were increased simultaneously to run conditions. Three experiments were conducted, the details of which are given in Table 1. The experiments were quenched after the run duration, reaching room temperature in about 20 s. Temperature measurement was precise to 2 °C and pressure to less than 50 MPa. After each experiment, the assembly was mounted in epoxy, and polished using sand paper to expose the interior of the noble metal capsule. The surface was then polished using diamond paste to prepare the samples for analysis. Backscattered electron (BSE) images, X-ray spectra scans, and quantitative compositions were acquired using a JEOL 8530F Plus electron probe microanalyser (EPMA) running with an accelerating voltage of 15 kV. X-ray scans were conducted using wavelength-dispersive spectrometers (WDS) with TAP (thallium acid phthalate), PET (pentaerythritol) and LIF (lithium fluoride) diffracting crystals, a 100 nA beam current, and a 5 µm defocused beam [23, 24]. Quantitative analyses were conducted using a 2 nA beam current with the following reference materials: albite (Na, Al, Si), hematite (Fe), Re metal (Re). The beam was defocused to 30 µm when analysing the silicate glass to avoid Na-migration under the beam. For chemical analysis of Re-bearing silicates, WDS methods have an advantage over EDS (energy-dispersive spectroscopy) because of the Re M-lines interferences on the Si K-line, introducing uncertainties in the quantified composition. The higher energy resolution of WDS relative to EDS allows the overlap to be eliminated. Raman spectra were recorded using a Renishaw InVia spectrometer, equipped with a Peltier-cooled detector, a 2400 l/mm grating and a confocal system. Samples were excited using a 532 nm laser line focused on sample surface using a × 50 Leica objective. The laser power on the sample was ~ 1.2 mW. The spatial resolution was ~ 1 µm, and the spectral resolution ~ 1.2 cm−1. Raman spectra were processed with using the rampy library  in the programming language Python. Water contents of the glasses were determined using two independently established methods [26, 27]. Both methods returned consistent values, within error. All experiments resulted in a homogenous silicate glass with abundant dispersed crystals of magnetite and noble metal nanoparticles (Fig. 1). See  for a discussion of the nanoparticle significance. Crystals of Na-perrhenate (NaReO4) and a Re-chloride phase of uncertain composition grew on the polished sample surface, particularly where pitted by scratches or imperfect polishing (Fig. 1b). Rare crystals of nepheline occur in experiments D1900-101 and D1906-103, whereas nepheline is abundant in experiment D1901-102 due to the lower run temperature. Rarely, Al–Fe spinel inclusions occur inside nepheline (Fig. 1c). We suspect it to be an unreacted relict from the sintered starting materials. A crust of sodalite, 1–10 µm thick, formed on all noble metal surfaces present inside the capsule (Fig. 1). This includes the capsule itself, the Pt–Rh alloy and the Re strip. A gap exists between the glass and sodalite and the metal surface (now filled with epoxy resin), probably due to thermal contraction during quenching (Fig. 1c). A WDS scan of a sodalite crystal from experiment D1906-103 shows that it contains Na, Al, Fe, Si and Re (Fig. 2). Spectra of other experiments are similar and not shown here. The height of the Na peak is abnormally low. This can be explained by the mobility of Na under the electron beam, causing significant migration during the 30-min scan duration . Quantitative chemical compositions of sodalite and silicate glass are given in Tables 2 and 3, respectively. The measured sodalite composition approximates that of stoichiometric Re-sodalite (Na8Al6Si6Re2O32), with several minor differences. Re contents are consistently below 2 atoms per formula unit, suggesting that the cages are not fully occupied by perrhenate anions. Alternatively, as perrhenate is moderately volatile, it could have been mobilised under the electron beam. This could lead to an overestimation of the other calculated cation values as they are calculated assuming full occupancy and 32 oxygens. Contents of Si are consistently above 6, and it is not clear whether it results from the overestimation or whether it is real. Natural sodalites commonly contain greater than 6 Si atoms per formula unit [28, 29, 30], suggesting that our measured overoccupancy is real. It is possible that the excess Si is charge balanced by introduction of some divalent Fe via 2Al3+ → Fe2+ + Si4+, both occupying the Al tetrahedral site [28, 29]. This is consistent with the low Al contents in our samples (< 6 atoms per formula units). The low Al contents could also be explained by trivalent Fe substituting Al in the crystals (Al3+ → Fe3+ ). Similarly, Na contents are occasionally low (< 8), which could either result from Na mobility, or alternatively from the charge-balanced simultaneous Na+ and ReO4− vacancies in the crystal structure. Our starting materials included Fe3+, imposing initially oxidised conditions, but Re metal remained in the experimental products, indicating overall reducing conditions during the run durations. There is no other reductant other than metallic Re to drive further reduction, indicating that the oxygen fugacity was buffered to values below but probably close to those determined by the Re–ReO2 equilibrium . Rhenium contents of the silicate glass are too low to be reliably analysed by EPMA (see Table 3), but are likely to be at a maximum on the order of magnitude of 1000–2000 µg/g. These values are within the range expected for silicate melts at this oxygen fugacity [32, 33]. Raman spectra of the glasses (Fig. 3a) show typical spectra of sodic Fe-bearing aluminosilicate glasses characterised by two broad peaks near 500 and 1000 cm−1, due to intertetrahedral T–O–T vibrations and intratetrahedral T–O stretching vibrations in the glass structure (T = Si, Al, Fe3+), respectively (see  for a review and references cited therein). A small asymmetric peak, centred near 3590 cm−1, is also observed and testifies for a small quantity of water dissolved in the glass. Quantification of its amounts from the Raman spectra yields a mean value of wt% H2O = 0.36 ± 0.11 (1σ). This is consistent with the totals obtained from EPMA analysis (Table 3). Raman spectra of the sodalite crystals show three peaks at 332, 922 and 976 cm−1, and another peak near 422 cm−1 (Fig. 3b). Those observations are in perfect agreement with previously reported Re-sodalite Raman spectra . The peaks are assigned to vibrational modes of Re in tetragonal coordination ; the 332 cm−1 peak is assigned to a pure bending mode (ν2), the 922 cm−1 to an asymmetric stretch mode (ν3), the 976 cm−1 to a symmetric stretch mode (ν1) and the 422 cm−1 peak to a combination of stretching and bending (ν4). Raman spectra of the crystals thus confirm that the reported crystals are a Re-sodalite phase. Raman spectra of the silicate glass does not reveal any Re-related peak. It was previously reported that peaks of perrhenate only become distinguishable from the background glass signal at contents of several thousands of µg/g . Therefore, our failure to detect any peaks related to Re is consistent with the chemical analysis showing Re contents equal to ~ 1500 µg/g at maximum. The presence of Re-sodalite in experiments run for 19 h at 1100 °C indicates that it is a thermodynamically stable phase at these conditions and melt composition. Rhenium was sourced from the Re strip placed in the capsules, and as such it was expected that sodalites would be more common adjacent to the strip. Surprisingly, Re-sodalite was found exclusively as crusts on metal surfaces regardless of the position in the capsule. This is in contrast with nepheline and magnetite that are distributed homogeneously throughout the capsule. The Re-sodalite crusts appear identical whether they were on Pt, Pt–Rh, Ag–Pd, and even on the Re metal itself. This indicates that the noble metals catalysed the Re-sodalite crystallisation. The silicate glass contains up to 1000 ppm of Re, whereas the Re-sodalite contain ~ 25% Re. This represents a 2500-fold increase in Re concentration in the solid phase relative to the liquid. This confirms the exceptional potential of sodalite to extract Re from silicate melts (and by analogy, Tc ). Most nuclear waste glasses are not as sodic as our starting materials and contain abundant B2O3 (e.g., ), which may explain the lack of sodalite crystallisation even though the glasses are commonly prepared in noble metal crucibles. This indicates that Re-sodalite may not be a thermodynamically stable phase in these melts. Therefore, their retention (e.g., ) is likely promoted by slow dissolution kinetics of Re-sodalite in the liquid, which does not proceed to completion in the rapid heating and subsequent quenching during nuclear waste vitrification. As mentioned above, our runs were buffered close to the Re–ReO2 oxygen fugacity buffer, in which the oxidation state of Re in the oxide is 4+. Yet, sodalite contains Re7+ in perrhenate. The higher oxidation state is an example of the general tendency of metals to adopt higher oxidation states with Na or other basic cations as next-nearest neighbours, as generally found in silicate melts [37, 38]. This effect has been described from solids such as aegirine (NaFe3+Si2O6 ), dyrnaesite-(La) (Na8Ce4+La2P6O24 [40, 41]), and sodic amphiboles (riebeckite and arfvedsonite ). Likewise, the oxidation state of Re in the glass is expected to be dominated by Re6+ and Re7+ [32, 43, 44, 45]. Remarkably, these higher oxidation states of Re are stable in equilibrium with metallic Re. NaReO4 has been observed as a stable phase at conditions similar to those of our experiments [44, 46, 47], but was not observed in the present case. However, as our samples were prepared by water-lubricated polishing, any exposed perrhenate salts would immediately dissolve. The formation of perrhenate salts on the surface of our polished sections may have resulted from remobilisation of crystalline NaReO4 through cracks in the glass during sample preparation . Crystallisation of Re-sodalite from a sodic Fe-bearing aluminosilicate melt was observed at high temperature and high pressure. Crystallisation happened to be catalysed by noble metals and alloys during the experiments. Re-sodalite can thus be a stable phase in Na-rich silicate melts in equilibrium with Re-bearing alloys at high pressure and high temperature. Therefore, in addition to the hydrothermal path previously presented , high pressure and high temperature experiments are another path to Re-sodalite synthesis. 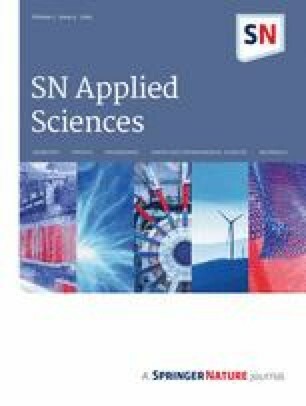 Furthermore, the experiments suggest that the presence of a noble metal catalysers in Na-rich silicate melts may be another way to stabilise Re-sodalite to higher temperatures, inhibiting through this way Re (and by analogy, Tc) volatilisation during vitrification processes, or increased stability during glass alteration [48, 49]. This work was supported by Australian Research Council grant FL130100066 to Hugh O’Neill. We acknowledge the facilities and technical assistance of Jeff Chen at Microscopy Australia, Centre for Advanced Microscopy, ANU.